Time is money and in the world of online marketing you need to see results as quickly as possible. The problem is that other platforms may take too much time, cost too much more or don’t provide enough of a reach for your business. Data based marketing is a great way to reach millions of consumers in a short period of time and not spend a lot of money to do so. While the concept has been around for years, many businesses are not aware of how to utilize it. Email marketing: You can target a specific audience and send promotions directly to their email account. Even if they do not open the message, they are seeing who sent it, what the promotion is and develop a familiarity with your brand. If you have a promotion coming up, then it’s important to send the campaign out at least once a week to the same group as businesses tend to see better results on the third and fourth campaigns. Social media: You can upload email addresses to social media and target those addresses that match existing profiles. This helps to ensure that the people who are seeing your content have already seen it via email and are familiar with your brand, making your efforts more cost-effective. Postal records: Imagine being able to select an audience based on credentials that are ideal for your business (age, geo, interests, etc. ), then you can send them a flyer in the mail, an email and showcase your ad to them on social media. That would be a pretty effective campaign. If you do not have your own data, there’s nothing to worry about. 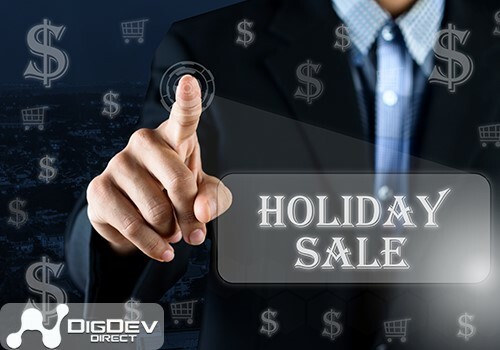 Rather than spending time and money developing your own database, you can utilize the services of DigDev Direct’s data based marketing. The records are proven, legitimate and present a cost-effective way for you to reach the right audience with your brand and promotion.